At this year’s Develop Conference in Brighton, UK Culture Minister Ed Vaizey held a keynote to try and explain why the British Government has refused to bring tax breaks to the Games Industry. The Labour Government had previously promised to bring these tax breaks, but since the Conservatives and Liberal Democrats came in to power, such plans were scrapped. PlayStation LifeStyle talked with Ed after his keynote to delve into why the government is risking the industry’s position on a global scale, and whether he believes he has made true on the promises he gave the last time we spoke. You’ve just finished your speech; do you think you have helped alleviate industry heads concerns? Well, what I came here to do was to show the industry that I still remain a passionate supporter of them, and now I’m a minister I’ve got a – I think – a huge opportunity to help the industry where I can, my doors always going to be open. I’ve made good friends in this industry over the last three years, I listen to what they have to say and I want to carry on a dialogue and get things moving, so that’s why I was pleased that we could secure funding for Abertay University, I was pleased that we can now have a long hard look at skills, and I’m was pleased that TIGA and ELSPA are working together to look at the fiscal environment. When we last spoke – that was before you came into power – you said that supporting the Games Industry was a “no brainer”. What happened? It is a no brainer, and that’s why I’m here at this conference because its important to have a voice in government for the industry. I don’t know of any minister in the previous government that came and spoke at Develop, and I’ve got a lot of responsibilities, but the Video Games Industry remains one of my top priorities. And you have Canada actively poaching developers – they sent out mock passports to British developers – do you think that they will manage to steal possible developers and publisher support? Well we’ve got to keep a close eye on what Canada is doing, and we’ve got to try and ensure that we react in a realistic way, and I certainly wont lose site of what I have to so. During the briefing, you said that the UK Game’s Industry still has a lot of life in it, and is not yet in a dire situation, but major companies like Sony and Activision are threatening to pull support and investment from the UK, so perhaps you are mistaken? I’m absolutely certain that the UK games industry has a strong future. We are investing in skills so we have the best work force. And the Chancellor has set out a budget with business at its heart. Do you regret the comments you have made before the election, about how you would bring considerable changes to the Government’s stance on the Game’s Industry? My position is unchanged. I said then, and I say now, that I am committed to being a champion for the games industry within Government. I set out in my speech how I intend to do that and have given a promise to work with the industry to help it grow. Richard Wilson, the CEO of TIGA, asked about how much support you will give to him. Even if he effectively campaigns for tax breaks, how likely is it that we will see any further reform? Tax matters are entirely the responsibility of the Chancellor. I’ve said that I will work with the industry to make the most of all the benefits out there, which I suspect many small games companies are not fully exploiting. And I’m always prepared to listen to practical suggestions on other ways we can help. Last time we talked, you mentioned how there weren’t any Parliamentarian gamers, has that changed? 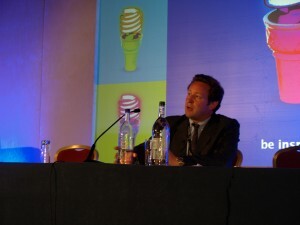 PlayStation LifeStyle would like to thank Ed Vaizey for taking the time to hold the interview. Stay tuned for more PlayStation news, reviews and interviews right here on PSLS.